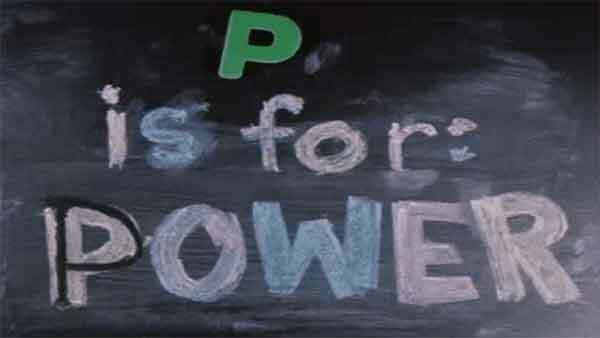 December 30, 2016: P is for: POWER. It's just after midnight in Lũng Cú. That's the best "GREETINGS" I've heard in a bit! GREETINGS to you and the Dinkers! Hello Uncle. Hoping for some Umajets or Chris Von Sneidern. I'll go with Badfinger, though! Hails Unc! I just put this Badfinger song on a mix CD for my gal...man, it sounds tasty! James! Melinda! Doctor! Brian! Holland! 23W! i love that badfinger song. i never knew it was a big pop radio hit until about a year ago. I remember Crabby Appleton from Tom Terrific, but I didn't remember Crabby had his own theme song. And I don't remember at all the cartoon's other featured villains such as Isotope Feaney, The Meany, and Captain Kidney Bean. How bout the Headboys, Shape of things to come? But it's going to be all good! @coelecanth: I was at the cryptozoology museum gift shop yesterday buying a present for my mom, and I noticed that they had coelecanth action figures! .... whew, i made it! got my delivery of wine and pet food and she forgot to bring the eggs. damn, which pet should i cook first? hahaha! melinda! that's hard to imagine but, okay! Gonna be a lot of great artists skipped over because the decade gets really crowded '77 to '79! Maybe they're your requests for next week. More on that at the break. Coel they're just coelecanth figures, but action figures sounds more exciting. I want a blobfish action figure. I bought a few family gifts at the Honey Exchange, which was fine, but the Crytpozoology Museum might've been much more fun...for me if not the gift recipients. I'm gonna walk to be bank shortly and will be just a few Bigfoot strides from that museum. Does Kiss Me on the Bus make it into this category? Everyone just wants to be Paul! (me too). very glad this show is happening on a day I'm not working. Happy post-holidays and pre-new year, Uncle Michael and crew! @b/p: it was hard not buying things for myself at the crypto museum. But I already got myself a Bigfoot air freshener, so there's that. Are you apologizing in advance for playing the Plimsouls, the Nerves, and the Beat all three? But the apology in advance was for something else. Are you going to play Love is Like Oxygen by Sweet? Did someone ask a question? It came through all garbled. Another choice from Sweet, Scraps. hehe, that's funny scraps, i was singing that song this morning. right out of the blue. sure I'll pile on too: might we be hearing dwight twilley - im on fire sometime today? How about something from the Knack? How about this power pop power ballad? It's all good this show! Its about time to break out the roller skates! I'm just going to issue a blanket "Yeah, [artist name]!!" for every song on this show. I like Hudson-Ford a lot. I think they'll factor into a set in a couple of weeks. Hi Michael! I probably have heard a lot of these, but never knew the names of them. Will there be a little power-funk/pop spilling into this show? How about playing some from the Tarney-Spencer band? Evan, you mean this music is in your wheelhouse? I just now read that The Hudson Brothers came from Portland OR. I had no idea. I remember watching their variety shows on Saturday morning tv. Very often during this show, when I hear a new-to-me '70s track, I wish I'd lived in THAT '70s, where music like that was my predominant musical diet. Very glad therefore to have a whole SHOW of this music and this feeling! The tracks that I do know from that time are all the sweeter in the context of those I don't. Bliss. aww...I just taught Big Star's 13 to my daughter. She's got a great voice. you are correct about Blue Ash. Hey Uncle M: for request show, is it cool to list a couple tunes, just in case one works better than another, etc.? Like this cover by The Quick-fun show! Boarding in mid flight. Hope you guys haven't eaten all the peanuts. This was a part of the 70's I missed as well, so many tunes I don't know, cool stuff! OK, Piper deserve their own separate comment so Yeah, Piper! Uncle, understand your take on it now. Weaving a well trod path. Nice work. My money's on Shoes next set. Makes me wonder where a music obsessed person like me was that decade. I think a lot has to do age-calibrated radar. This was or wasn't on one's radar, dependent on whether it reflects one's own zeitgiest. Must have been stuck on punk and disco, who knew there was another way? Now I just love this stuff. Before that, Dead and other hippie stuff. any girl power pop coming up? That's a very good question, Sean. Yes. One. I guess many of these were somewhere in the unheard territory between the music bundles of Top 40 playlists and album rock station playlist staples and habits. Where did you hear them back then Uncle Michael? @still b/p over here the only real outlet apart from live, was John Peel's show. The Pop, one of the many "The + 1-Syllable Word" bands of the late '70s/early '80s. I didn't hear much that wasn't on the radio before '77, when I started hanging out in record stores. Before that, Badfinger and the Raspberries was about it. oh Starz get their own comment too. Yeah, Starz! is this Utopia song the reason for the advance apology? ...where there are no guilty pleasures, but plenty of sheepish grins. Speaking of album rock, a woman I know walked a few days ago into a brief casual conversation about a Yes song and offered her own funny big-view casual dismissal, immediately scoffing about Yes and ELP as she made a particular -- ahem -- jerking motion, and referring to fans/appreciators, she said, "Yeah, ...the boys...you know..."
Evan Davies, you come out of there! I know perfectly well that's you hiding in Kansas! the Venn diagram between young male music fanatics and young men that could get dates...picture it. it's not officially a Venn diagram until the circles intersect. Just sayin'. I was certain Fotomaker was EFD comment-worthy. Oh, well. I know where the dismisser and others are coming from, and both groups leaned into the ridiculous. While I wasn't a consistent or focused fan of either band, two Yes concerts I saw were completely enjoyable, and both outfits were such a firm part of the early to mid-teen years soundtrack that it feels hasty and untoward, sorta unkind, to cast them as only wanky business. On the borderline of the blanket coverage from my earlier comment. Ahh, Daddy's Alright (a friend played this coming out at his kids bat mitzvah). If I hadn't just made an exception for Starz I wopuld have made an exception for Fotomaker. It was that close. How many lifelines do you get? If you're not into the Paley Bros., you just don't know that you are into the Paley Bros.
You said a mouthful, Dean. OT Fans of today's broadcast might want to check out "Do Hollywood" by The Lemon Twigs, a great album put out this year by a couple of Long Island teenagers. That Lemon Twigs thing is AMAZING. Missed an earful, though. Just returned from orthopedic check-up of daughter's broken arm. What a show! I recommend that people expose themselves to Lemon Twigs on Youtube. They're fun as hell. Superbly, thanks for asking. Kids are supernaturally resilient. I want all the way back to Halfnelson looking for the right song...but no. Fantastic show today, thanks as always....also really loved the longform Devil Doll a few weeks ago! HDTwUM is TOPS!!! I expect the Twigs to experience Strypes-like backlash. Too much attention, too fast. oh man, I love this Richard Lloyd album. Matthew Sweet probably does too. Dang. So much pop, so little etc. Used to play this Lloyd album daily in the record store. And Groovies. Read, Dean, read. And Rollers. I'll shut up. Or just copy/paste your entire playlist to a comment. Michael's not playing Shoes just to spite me. Here's one I know you would not already have played: Chicago Symphony Orchestra's "La Mer." Loads of fun. Happy New Year, UM, and all. I walked in on it, and thought "Costello I don't know" right away. If Costello is featured here, it has to be WSF'BPL&U. Has to be. of both mats + the del fuegos? I was thinking the same thing, UM! Another Berserkeley contender: Earthquake's live "Ma Ma Ma Belle." Sorry, when I posted gooobye, I thought it was 2:57. This Rubinoos track is my all-time powerpop favorite. I was thinking that the unnamed commenteer at 2:32 was johnk77, which is how I interpreted your "gotta be John" comment. That Rubinoos song was known among my college friends as "Hey you, get offa my boyfriend"
I think we're gonna make it! @? : Russ Riegel and Gary Hobbib? Oh yes they are in there. YEAH NICK GILDER BLANKET COMMENT EXCEPTION!!!! Good lord, yes. Gilder! Saw him at The Whisky. This Elektra version always sounds weird to me. yeah sounds sped up a bit right? oh Bram Tchaikovsky gets his own comment too. Thanks for the great tunes to usher in 2017 UM! how about one last song with a lady on it? can the Vapors be far behind? Saw Bram Tchaikovsky at the great Hurrah! in NYC sometime around the time this album came out. I was standing up front and between the first couple of songs he leaned over from the stage right into my face and said "Do you like rock 'n' roll?" In a way, "Born to Run" is power pop. In a way. don't know this one. well played as always Michael. happy new year everybody! life is good no matter what they tweet. This is Annie Lennox singing. Maybe it was a an Olivier/Curtis ,"Do you eat oysters? Do you eat snails?" kind of thing. Second best being "Candy-Gram for Mongo!" Thanx Uncle M! Fun show! Cheers for a great '17! Great show Uncle Michael! Happy New Year to you and all listeners and commenteers! Delightful stuff, UM! Thanks so much, and have a safe and fun New Year's!